SALT LAKE CITY (AP) — New Year’s Eve revelers in Utah could find themselves with more than a hangover as 2019 dawns. If they drink and drive, they could end up on the wrong side of the nation’s newest and lowest DUI threshold. The 0.05 percent limit goes into effect Sunday, despite protests that it will punish responsible drinkers and hurt the state’s tourism industry by adding to the reputation that the predominantly Mormon state is unfriendly to those who drink alcohol. The state’s old limit was 0.08 percent, the threshold in most states. For Utah lawmakers, the change is a safety measure aimed at encouraging people not to drive at all if they’ve been drinking. The change was easily approved in 2017 by the Legislature, which is mostly comprised of members of the Church of Jesus Christ of Latter-day Saints and mostly Republican, and signed into law by Gov. Gary Herbert, also a Republican and member of the church. The religion teaches its members to abstain from drinking alcohol. “The vast majority of people nationwide think that if a person has been drinking they shouldn’t be driving,” said Republican Rep. Norm Thurston, who sponsored the measure. 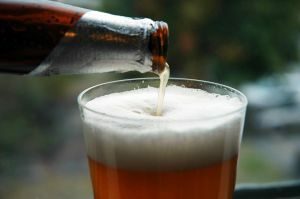 The change means that depending on things such as food intake, a 150-pound man could be over the 0.05 limit after two beers in an hour, while a 120-pound woman could exceed it after a single drink in that time, according to figures from the National Highway Traffic Safety Administration. The National Transportation Safety Board also backs the change, and many in the hospitality industry worry that other states will follow suit. Utah was among the first to adopt the now-standard 0.08 threshold decades ago, and lawmakers in four states — Washington, Hawaii, Delaware and New York — have floated measures to lower their DUI limit in recent years. None has passed. “Other states proposing the 0.05 law, don’t just follow blindly in the footsteps of Utah,” said Jackson Shedelbower, a spokesman for the American Beverage Institute, a national restaurant group. 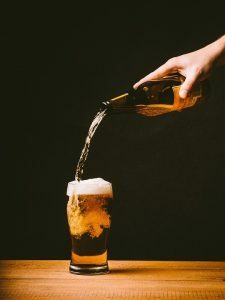 It’s unfair that smaller people could violate the new threshold after just one or two drinks in quick succession, even though they’re no more impaired than someone talking on a hands-free cellphone, his group argues. NTSB member Bella Dinh-Zarr countered that fears about the law are overblown. Nearly 100 countries have a similar limit, and it hasn’t correlated with less drinking per-capita. Federally funded research indicates the standard could save some 1,500 lives a year if adopted around the U.S., she said. “The restaurant industry should support this because it keeps their customers alive and drinking,” Dinh-Zarr said. Utah’s law takes effect as the state basks in the news that the U.S. Olympic Committee chose Salt Lake City over Denver as a future bid city, most likely for the 2030 Winter Olympics. State tourism officials say they’re not concerned about the law driving away visitors. With the increased use of Uber and other ride-hailing apps, many people going out for a night on the town don’t set foot in their own cars. In Utah, DUI arrests have dropped more than 50 percent over the past seven years despite a booming population, according to state figures. 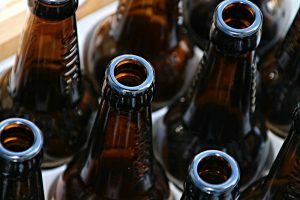 Even if the law doesn’t present a practical problem, it could scare off some visitors who see the state as rigid about liquor laws, said David Corsun, director of the Daniels College of Business’ Fritz Knoebel School of Hospitality Management. Still, it’s hard to say how big the impact might be. “If you really want to ski Utah, you’re going to ski Utah. You’re just going to figure it out,” Corsun said. Police, meanwhile, say they’re aiming to stop dangerous drivers, not target people who might have had a drink or two and could be in violation of the lowered DUI threshold. “You can’t just stop someone who left a bar because you suspect they may have used alcohol,” said Sgt. Nick Street with the Utah Highway Patrol. Still, patrons of Salt Lake City’s burgeoning bar scene do feel unfairly singled out by the change. Stopping for a whiskey after work with her sister at the upscale pub Beerhive, Maude Romney, 29, said she’ll likely only go to places she can walk to from her downtown home. “I’m paranoid about it already,” she said. A DUI charge can be expensive and have long-term effects on careers. In a booth in a corner, recent Ohio transplant Rob Wheatley, 50, said he drinks to try new craft beers, not to get drunk. He’s skeptical that the law will be a serious deterrent for binge drinkers.